FREE delivery to United Kingdom in 9 - 14 weeks. 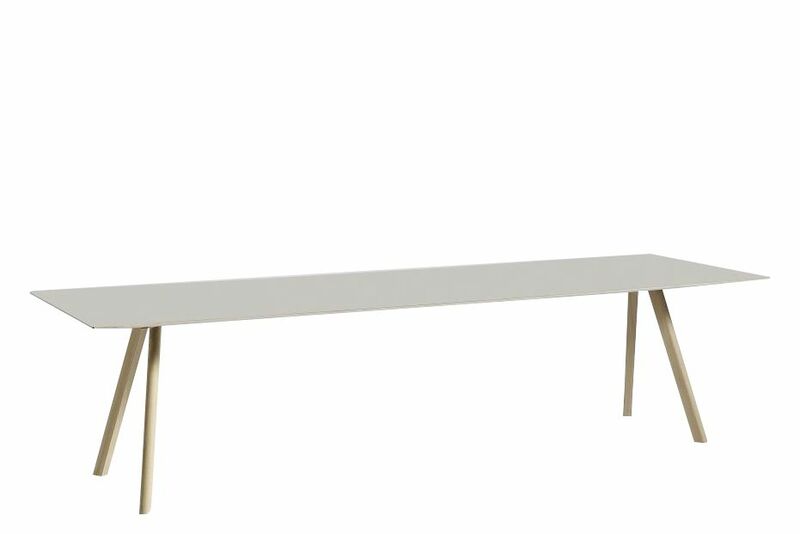 Part of the HAY Copenhague range, the Copenhague Table CPH30 sets itself apart by its coloured linoleum table top. Featuring an untraditional surface on this uncomplicated table challenges expectations and helps tell the story of the personal or formal context that the table enters into. Balanced atop the characteristic angled legs, it creates an elemental, yet strong identity that is consistent with the rest of the collection. Ideal for using as a desk or dining table in a meeting room, office or in a private setting.